I enjoyed a beautiful sunny day at Hawhurst. 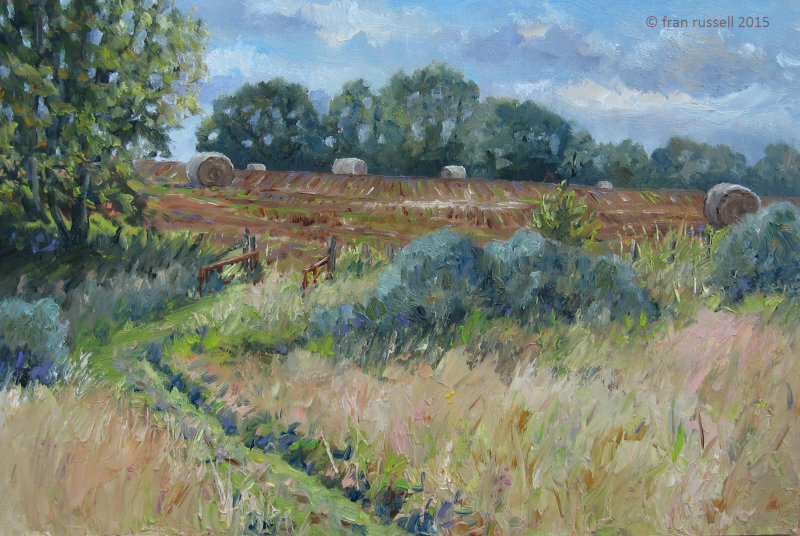 I spotted the hay bales recently and kept my fingers crossed that they would still be there for me to paint today. Fortunately for me they were. I loved the view with the long grasses in the field where I stood and the harvested field of stripes containing the hay bales beyond.